Home / industrynews / news / Gospel Singer Nathaniel Bassey Air’s His View On Tithing. Gospel Singer Nathaniel Bassey Air’s His View On Tithing. 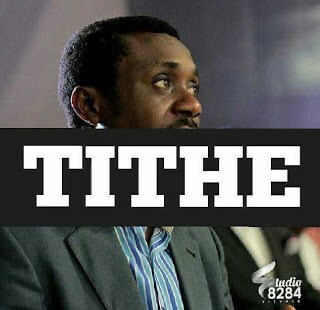 Singer Nathaniel Bassey air’s his view on #tithing Tithing – Whether Old or New Testament o, or whether under the law or under Grace o , COUNT ME IN. I love this God too much to argue about one small fraction of what he has blessed me with. When He sent His ONLY SON to die for me, He didn’t argue about it. His wasn’t even 10%. It was 100%. He gave everything for a once bloody sinner like me so I can be called His Saint. “10 Bring ye all the tithes into the storehouse, that there may be meat in mine house, and prove me now herewith, saith the Lord of hosts, if I will not open you the windows of heaven, and pour you out a blessing, that there shall not be room enough to receive it” – Malachi 3:10. Tithing, A key to an OPEN HEAVEN as we have been speaking about. I believe it is offered to God through our local Assembly. i.e, where we are planted and fed. And from my little understanding and observation, no genuine Ministry forces people to do so, even though they may encourage their congregation to give it. But Truth is, at the end of the day, it’s really a matter of LOVE & HONOUR. “For God so loved the world that He GAVE…” True love always gives. My name is Nathaniel Bassey, and I unapologetically believe in tithing. Plus At the end of the day, this is my Instagram handle.